The announcement last week from PG&E that it was closing Diablo Canyon Nuclear Power Plant, rudely came on the same day there were rolling blackouts in Los Angeles amidst sweltering temperatures. With the likelihood of more blackouts all summer in California, why is the state facing the closure of a clean energy nuclear power plant? How can PG&E say with a straight face they will replace it with renewable energy? Not only will closure of Diablo Canyon drive direct increases in natural gas use in natural gas fired generation, it will be further increased due to the need for backup and balancing the volatile wind and solar output. California cannot rely on renewable energy without natural gas. In 2013, Southern California Edison closed the San Onofre Nuclear power plant, which Conca said was not necessary. “Shutting down a nuclear plant that is operating costs more than to keep it running,” Conca said. “San Onofre could have continued to operate at 90 percent capacity for the next two decades. Nothing is perfect, we just need to deal with it.” The issue of tube failure stems from pumping too much water at high speed causing vibration between tubes. Slow the water down and the issue resolves. But it wasn’t worth it to SCE to keep it operational; Conca said PG&E stands to make much more profit with natural gas in the Diablo case. In California, the land of clean, green, recycling, wind and solar, bicyclists, public transit, electric cars and banned plastic bags, every economic energy source should be used. Instead, the largest hydroelectric dam removal project in U.S. history is taking place in Northern California of four hydroelectric dams from the 236-mile Klamath River. 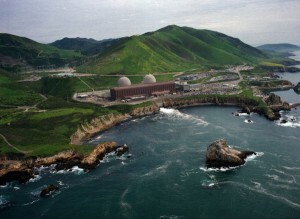 And now, following the closure of San Onofre Nuclear power plant, PG&E places Diablo Canyon on the chopping block. How does this help #sustainability? Or is it all about#activism and #ecomarkets and #cronyism? Nuclear and hydroelectric power are two of the cleanest forms of energy. James Hansen, former NASA climate scientist, together with several other prominent climate scientists,called for an enlarged focus on nuclear energy. France derives most of its electricity from nuclear energy, and is the world’s largest net exporter of electricity — up to 70 billion kWh net each year — due to its very low cost of generation. If the issue isn’t about low-cost generation, and it contributes such a significant amount of power to the grid, why is Diablo Canyon on the chopping block? 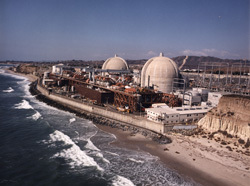 “The lead environmental organization that negotiated a proposal with Pacific Gas & Electric to close California’s last nuclear power plant could significantly benefit financially from its closure, as could the trustees that govern the organization, and its donors,” Shellenberger wrote on Environmental Progressabout the Natural Resources Defense Council. “NRDC itself has significant, direct investments in natural gas and renewable energy companies.” And according to a report in the Wall Street Journal June 16, “The Sierra Club Might Completely Flip Its Positions On Nuclear Power.” The Journal believes that the major environmental group “is debating whether to halt its longtime position in support of shuttering all existing nuclear-power plants earlier than required by their federal operating licenses. There is the profit motive, just as Jim Conca also said, driven by influential cronies. “Short term profits are not the way to run a nation,” Conca added. 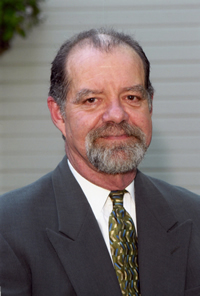 One of the NRDC Vice Chairmen is Max Stone, a managing partner at D.E. Shaw, an investment firm that on June 16, 2016, bought a solar farm in California that has a power purchase agreement with PG&E, Shellenberger wrote. One of NRDC’s largest donors is Nat Simmons, an investor in solar, wind, biofuels and other renewable energy companies. And NRDC put $66 million into the “Ex-Fossil Fuels Index Fund,” after teaming up with a financial firm to create the fund, which invests in natural gas and green energy. Hedge-fund billionaire and environmental activist Tom Steyer, backs an anti-fossil fuel organization called the Energy Foundation which has given millions to NRDC. Ironically enough, researchers have uncovered that Steyer’s hedge fund “minted a lot of money off oil and gas investments, among other environmentally destructive business ventures.” A profile in the way-left of center magazine The Nation of environmental groups profiting from the very oil and gas companies they fundamentally oppose, confirmed that “NRDC still holds stocks in mutual funds and mixed assets that do not screen for fossil fuels.” Just as the Hunt Brothers attempted to corner the market on silver in 1979, Steyer and his cronies are attempting to pump up investments in natural gas by eliminating competition from other sources. Fortunately, the agreement between PG&E and the environmental groups will be reviewed by the Public Utility Commission. Hopefully that review will be free of the behind-closed-doors review that took place in the closure of San Onofre, which has elicited major calls for reform and criminal investigations. Given that Gov. Jerry Brown has vetoed bills aimed at reining in the PUC in the past, the announcement Monday of a major restructuring and reforms to the PUC is good news. That’s precisely why Public Records Act inquiries are so important, as are thorough and open public reviews. (The parties to the Joint Proposal are PG&E, International Brotherhood of Electrical Workers Local 1245, Coalition of California Utility Employees, Friends of the Earth, Natural Resources Defense Council, Environment California and Alliance for Nuclear Responsibility). 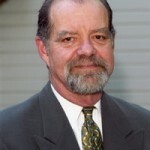 Tom Tanton is Director of Science and Technology for the Energy and Environment Legal Institute. Katy Grimes is an Investigative Journalist and Senior Media Fellow for the Energy and Environment Legal Institute.